There’s no denying that The Rockford Files was one of the best TV shows ever made. It’s a classic on so many levels, too numerous to mention. Imagine taking a trip to the Golden State, California, in late-1978 and then stumbling upon a filming scene of The Rockford Files. That’s exactly what happened to Ted Ferfecki also known as YouTuber “Ted Did It”. What Ted thought was going to be a fun trip to the Los Angeles area became a journey he would never forget. It wasn’t the sightseeing around Los Angeles which left the lasting memorable impression. As you can see from these photos which Ted took during his trip, he did plenty of sightseeing. It was when Ted and his wife left Los Angeles and started a trek on the Pacific Coast Highway which even today is one the most scenic driving routes one can drive in America. It was on this road where Ted’s trip took on a new dimension. It was the early leg of this trip on December 4th, 1978 where Ted and his wife began their journey on the Pacific Coast Highway en-route to San Francisco, something caught Ted’s eye as he drove through Malibu. 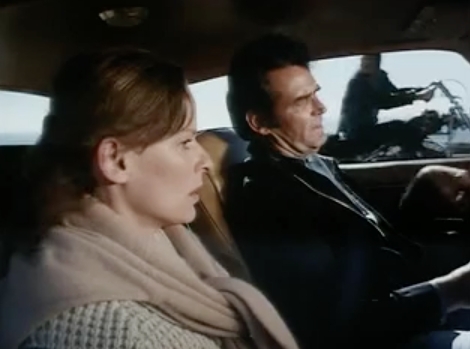 Many of the Rockford Files scenes were filmed in Malibu. Ted saw a film crew assembled in a parking lot next to the road. Ted noticed two gold 1978 Firebirds and knew immediately it was a filming location for The Rockford Files, he just had to stop. Ted after stopping spotted James Garner who played lead character Jim Rockford in the series, sitting behind the wheel of the closeup filming Firebird which was used to film the car interior shots during the TV show’s driving scenes. Ted took this memorable photo of this Firebird which was full of exterior and interior camera and sound equipment which that day captured the car interior shots and dialogue while Garner was driving along Malibu’s section of the Pacific Coast Highway. That day this equipment captured the conversation scene Garner had with Laurie Jefferson who played Gail Cooper for The Return of the Black Shadow which was Episode 18 of Season 5 and it originally aired on primetime – February 17th, 1979. 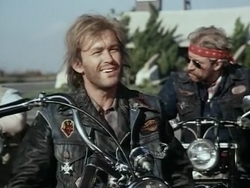 It was a violent episode, where Rockford had a nasty run-in with an outlaw motorcycle gang called the Rattlers. This must have been a tough episode for Garner to shoot since the fight scenes were very physical and numerous and had to appear realistic since Garner’s character Rockford ends up in the hospital with serious injuries. It was the opening scene of this episode which was in the process of being filmed on Malibu’s Pacific Coast Highway when Ted stumbled across the filming crew. To get this photo, Ted had to step right in front of the Camera car where Garner was behind the wheel and Jefferson was in the passenger seat. It was not known whether Garner was having a rough day due to the tough driving scenes, dealing with the bikers, or Ted standing close to his car but something agitated Garner. Right after Ted took this photo Garner floored his Firebird as if he was in a competitive race. The look on Garner’s face tells this story of frustration. Worth noting the license plate on the camera car was California “604 UPD” which was different than all the Rockford Firebirds used for exterior shots which had the famous California “853 OKG” license plate. 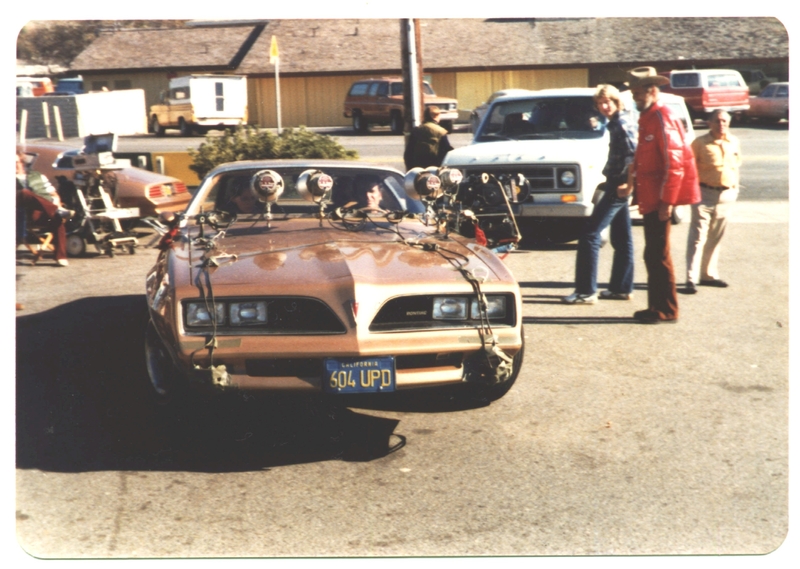 The 1978 Firebird used for exterior shots that day can be seen in the background of Ted’s photo. This Firebird doesn’t have camera or sound equipment attached. 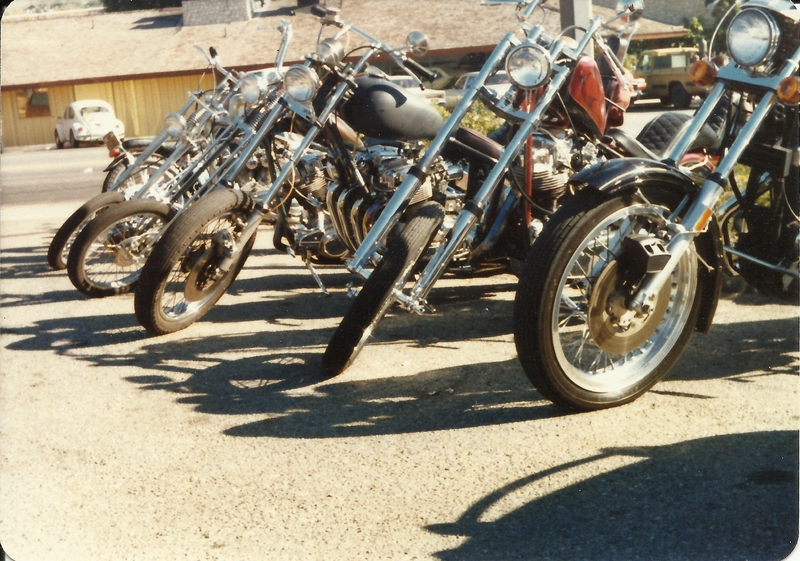 Ted also snapped this photo of the motorcycles used by the motorcycle gang in this episode. Garner wasn’t just an actor, he was a professional race car driver, and a stuntman. What Garner had to do that day was carry on a perfect conversation where he couldn’t mess up his lines with Jefferson while driving the Firebird. Garner had to do all of this flawlessly at the same time he had to perform perfect stunt driving as a gang of motorcyclists maneuvered close to his car. 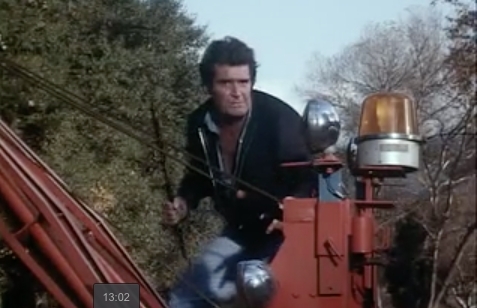 There’s a lot of work that goes into making a TV show like The Rockford Files. Jim Garner always went the extra mile and gave 100% for every performance. Ironically even after 6 popular seasons, The Rockford Files only ended production due to Garner’s life threatening health problems. Had Garner remained healthy the series could have lasted as long as another 6 seasons. Unfortunately Garner passed away in 2014, but The Rockford Files TV show still lives on in syndication. It is Ted’s two photos that that speak 1,000 words of what it was like to catch TV history in the making back in 1978. Be sure to visit Ted’s YouTube channel “Ted Did It” which contains videos about cars, art, gardening, nature, and other collectibles.